Lavazza Qualita Oro Coffee, Ground, Medium: A smooth, everyday coffee, that’s neither too strong nor too weak for a perfect morning start. Lavazza Caffe Espresso Beans Review: Yet another one of Italy’s Favorite Coffees. Grind it well and get the best mojo for any kind of brew. The great espresso dark roast, Lavazza Perfetto Coffee, comes in two versions: Drip Coffee and K-Cups. No excuse to avoid mojo pleasure now! The Lavazza Gran Crema Espresso Pods ! Lavazza Gran Crema Espresso Pods are the less complicated way to taste Italy’s Favorite Coffee. If you’re always in a hurry try this option. 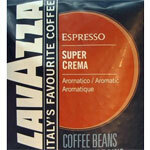 The Lavazza Crema e Aroma Coffee Beans is a blend produced with grounds from South and Centra America and Africa. How exciting is that? 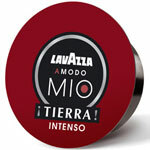 Yet another best-seller blend from Lavazza that takes Brazilian coffee as its main ingredient. A fabulous option for espresso and pour over!